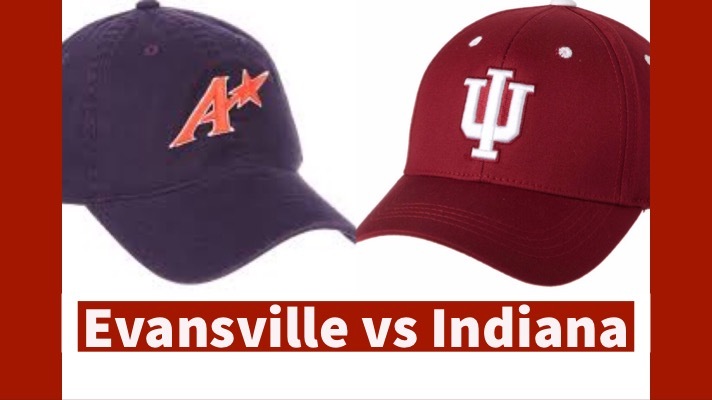 Indiana will look to extend its streak of four consecutive series wins against the in-state opponent of the Evansville Purple Aces. The Aces have bounced back from an atrocious 12-39 record from a year ago to post a respectable 17-10 mark in 2019. They are coming off a series win over a quality team in Dallas Baptist University in which they won two of the three games and winning the total run differential 22-12. The Hoosiers did not have the Purple Aces on the schedule last year, but they have had a common opponent this year. 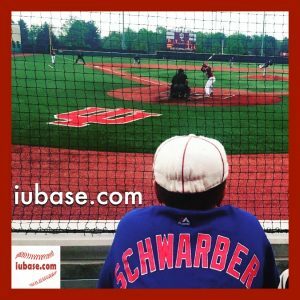 Each team has faced Iowa in a three-game series and both of the Indiana teams came out successful. 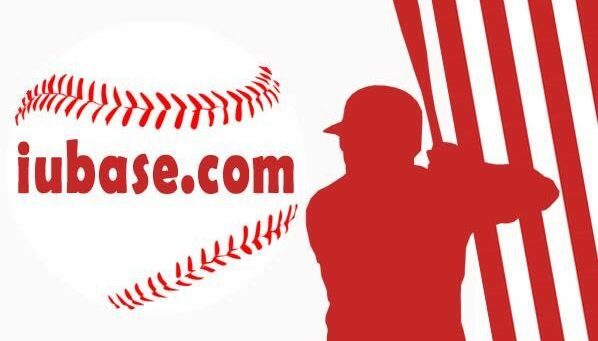 Indiana swept the Hawkeyes, while Evansville took two of three games after losing the first game 18-7. Evansville has a quite a bit of returning talent and that’s been a big part of the early success thus far. The Aces were on an eight-game win streak before it was snapped on Sunday after a one-run loss. This is not a team to be taken lightly by any means. They carry a team ERA of 3.97 in 236 innings of work with 220 strikeouts, 101 walks, and 25 opponent home runs. The Purple Aces have proved that they have the arms to compete with power conferences, but Indiana’s hitters may have other plans. Lukas is the lead arm for Evansville after transitioning from the bullpen to a starting role over the course of last season. He suffers from control issues but has the capability of dealing if he gets going. He struggled against Iowa giving up eight hits and eight earned runs in just three innings of work but showed signs of brilliance against Creighton throwing seven innings of one-hit baseball while striking out 12. Croner struggled with control early this season, but he’s dialed it in. After walking 9 in his first 10 innings, Croner has walked 9 in his last 38 innings pitched. Unlike Lukas, Croner has gone more than five innings in his last seven starts, including two seven inning shutout performances against both Iowa and Creighton. Weigand is far and away Evansville’s weakest weekend arm. Weigand has six starts and is yet to go longer than five innings. Three of his starts didn’t even make it past four innings and it’s because teams hit him well. Four of his starts have including him giving up multiple earned runs and that’s a large part of the reason he doesn’t make it very far in games. Hayden sat out all of 2018 after receiving Tommy John Surgery. He’s made five appearances and has two starts on the season for Evansville. His most recent outing was 5.1 innings of two-hit baseball against Dallas Baptist. As for the bats, the Purple Aces have had a solid year. They returned their two best hitters in Troy Beilsmith and Kenton Crews and that should help them against Indiana’s dynamic pitching staff. They’re hitting .250 as a team and have mediocre long ball ability with only 17 home runs. Evansville has a fairly high strikeout percentage with 25% of their at-bats ending in K’s, but Indiana’s 30% mark balances it out. Reeder has been the best bat for Evansville during this young season. He has started all 27 games for the Aces and put together some respectable numbers. He leads the team in batting average, hits, doubles and on-base percentage. Craig is a quality hitter that typically is slotted in the clean-up spot for the Aces. He’s been a starter for every game but one and has some nice pop in his bat. The negative for him is that he also misses the baseball a lot. He leads the team with 36 strike outs in only 103 at-bats. He’ll be seeing a lot of the off-speed this weekend. Beilsmith isn’t having the best year so far, but his numbers last year speak for themselves. He hit .335 and lead Evansville in hits, doubles, home runs and runs scored. He only had 7 home runs, but that still shows his potential to bang one out of the park. A slow start this year makes him less intimidating, but he is not one to be taken lightly. Indiana Univeristy will be providing an audio play by play link via Hoosier Country 105.1 for all three games.